Maintaining a healthy office environment is beneficial for building and business owners as well as building occupants. A complete IAQ Environmental Management plan includes the implementation of periodic building envelope assessments and moisture intrusion assessments.The Building Envelope and Moisture Intrusion module was designed to be used in conjunction with the Indoor Air Quality Monitoring plan to proactively identify unknown issues, reduce energy loss, reduce building component failure risk and reduce health risks and litigation costs. The building envelope is also known as the building enclosure. It is the physical boundary between interior and exterior environments of a building and offers protection from air, temperature and moisture. It serves as the outer shell to help maintain the indoor environment. A tight building envelope offers high resistance to outside temperature and positively affects how much energy is needed for cooling and heating the building. In a building with a loose building envelope, heating and cooling costs are significantly higher. The building envelope also affects ventilation which in turn affects the safety and comfort of its occupants. A periodic check on the building envelope is a valuable, cost saving addition to any preventative maintenance program. Moisture intrusion in buildings causes billions of dollars in property damage every year and can threaten the health and safety of the building occupants. 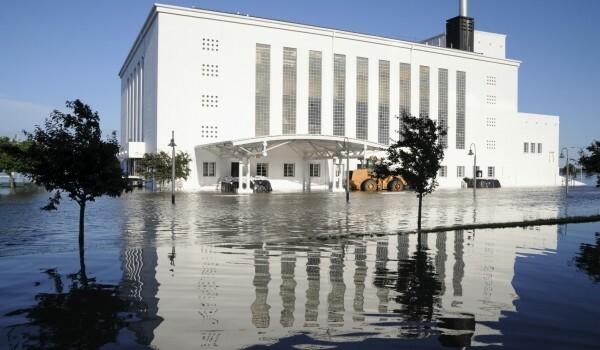 In a study conducted by the American Insurance Association between 2007 and 2009 there were approximately $9.1 billion dollars spent in property losses associated with water damage. Water intrusion can lead to structural damage, microbial problems, sick building syndrome (SBS) and unnecessary litigation. According to the Centers for Disease Control and Prevention (CDC), building design and operation are integral to limiting the water and nutrients that foster mold growth . Causes of moisture intrusion vary and can be due to leaks in floors, walls, roofs, windows and doors as well as defective or improperly installed building components. The expenditure and effort to correct building related issues or IAQ problems far exceeds the cost of taking a preventative approach.By incorporating Building Envelope and Moisture Intrusion module to the Indoor Air Quality Monitoring Plan it will help to identify issues in advance and prevent issues before they occur which will result in a positive return on investment.